Employee recognition, as important as it is, can easily become exhausting for any leader. Recognizing each little thing they do, balancing intrinsic vs extrinsic rewards, and helping them grow at work is a lot to handle. You can spend a ton of money, time and energy on recognition without getting any real results. We get it. We’ve been there before. Over the last two years, we’ve spoken with many experts about all aspects of employee motivation, including recognition. 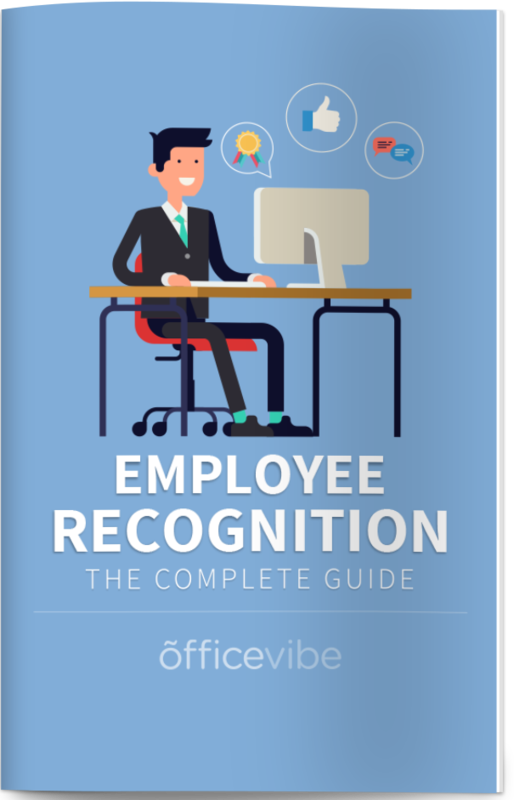 We put together this complete guide to teach you exactly how to create a culture of employee recognition, where you can easily make your team happy at work. One of the biggest mistakes that leaders make when it comes to employee recognition is confusing it with rewards/incentives. Recognition is not rewards, you don’t have to spend any money to recognize employees. It seems that too many leaders still don’t fully understand what employee recognition is. Employee recognition is the acknowledgement of a job well done. That’s it. It’s just about showing employees the respect they deserve. It’s about showing them that you notice and appreciate all the hard work they’re doing. It’s simple in theory, but there are a lot of subtleties that can make things go wrong, which we’ll cover later in this guide. Employees don’t want you to spend money on a $20 gift card for them. They just want to see that you noticed their work. According to our recent study on employee engagement, 82% of employees think it’s better to give someone praise than a gift. Most of the money you’ll be spending on rewards for employees is ultimately a waste, it’s not what they’re really looking for. Plus, it’s well documented that when you add money to a task, you lower the motivation of the task. In social psychology, this is known as the overjustification effect. A task that was once intrinsically motivating for someone to do (like a good job at work), suddenly becomes extrinsically motivated. When you then remove the reward or lower the reward when they were expecting a reward, interest in the task drops, intrinsic motivation is gone, and extrinsic rewards must be continuously offered to keep the activity going. Don’t make that mistake. Understand the value of recognition and learn how to do it properly. 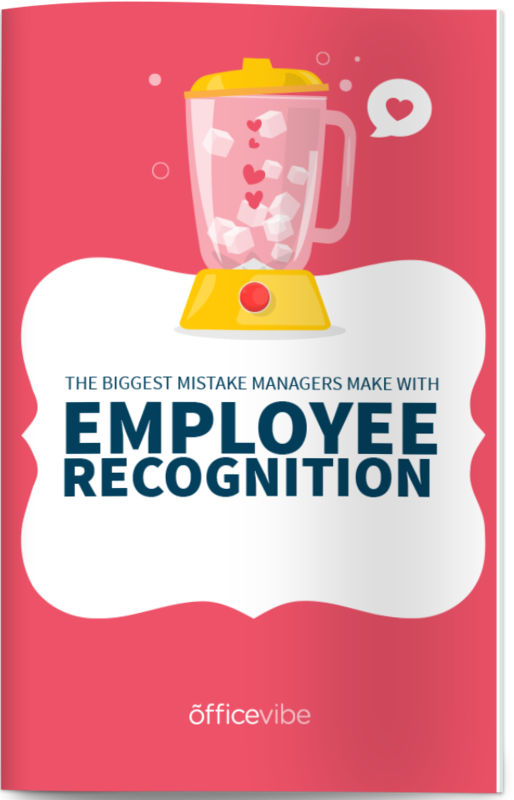 Free Bonus: Download the single biggest mistake that managers make with employee recognition. According to Dr. Donald Clifton’s book How Full Is Your Bucket, the number one reason people leave their jobs is that they don’t feel appreciated. Recognition is one of the most important things you can do to increase retention and lower turnover. This is important for you to be mindful of, because turnover is very expensive. On average, most estimates say that turnover costs about 30% of the employee’s annual salary, but some estimates say it can cost as much as double the employee’s annual salary, especially if it’s an executive or highly skilled position. When you think about all of the time, energy, and money that goes into recruiting and training, the estimates on the high end seem very plausible. But more than all of these financial costs are the emotional costs. Consider what someone leaving does to the morale of your organization. Productivity across the entire team goes way down because everyone spends so much of their time and energy worrying if they’re next. Of all the statistics about how important recognition is, these next two from the SHRM survey are where the real opportunity for organizations is. Peer-to-peer is 35.7% more likely to have a positive impact on financial results than manager-only recognition. A huge opportunity for organizations is implementing and encouraging peer-to-peer recognition, and build recognition into your culture so that everyone does it to each other. This takes a lot of the pressure off of managers and ensures that all employees are receiving enough recognition. Here are a few more important statistics that will show you the true value and importance of recognition for employees. 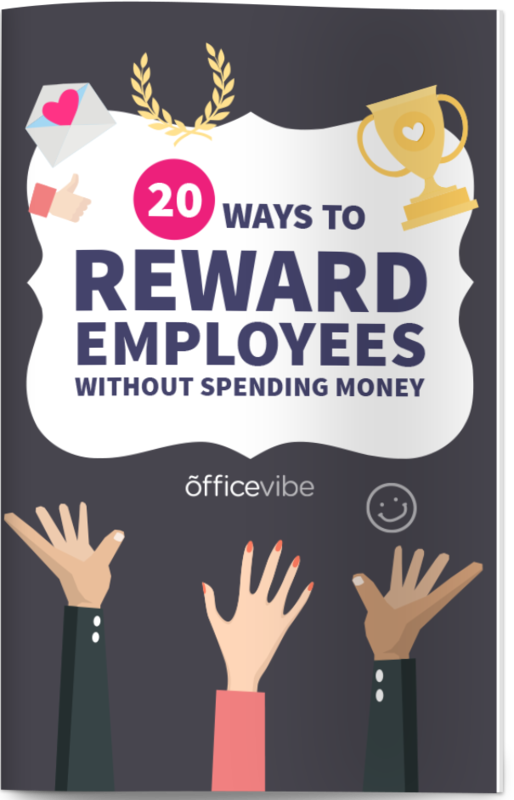 <a href=”http://www.officevibe.com/employee-engagement-solution/employee-recognition”><img src=”https://assets.officevibe.com/infographics/infographic-hubpage-recognition2.png?v=2″ alt=”11 employee recognition statistics” width=”600px” border=”0″ data-no-lazy=”1″ /></a>This infographic was crafted with love by Officevibe, the software that shows you how to encourage <a href=”https://www.officevibe.com/employee-engagement-solution/employee-recognition”>employee recognition</a> to create a greater workplace. How Often Should I Be Praising Employees? According to Gallup, you should be praising someone at least once a week. Variation in response to this question is responsible for a 10% to 20% difference in revenue and productivity. Employees who report that they’re not adequately recognized at work are three times more likely to say they’ll quit in the next year. This frequency might seem like a lot, but it’s important to understand how quickly the effect of dopamine wears off. Employees are constantly craving that dopamine – it’s biological. This is something that as humans, we can’t control. We need dopamine one way or another, so if we don’t get it from our managers, maybe we’ll get it from a bottle of liquor. But this is actually an advantage for you because when employees get that rush of dopamine for a job well done, they want to do it again to get more dopamine, so their likelihood of doing more good work is much higher. According to research from Deloitte, employees feel much better when they are recognized by their peers. Even without that research, it makes sense. Your peers are with you on the day-to-day, so they understand your work more. When they give you a kudos, it seems much more authentic. Plus, most employees think that some of the recognition from managers is forced, making the praise from coworkers even more meaningful. So then the question becomes, besides implementing some type of badging/kudos software, how do you implement peer-to-peer recognition? Teach your employees about gratitude. The research on gratitude could be the answer to making a culture of recognition where employees are constantly praising each other. The effects of gratitude are contagious and can last for days. If you create a culture full of gratitude, employees will be much happier and much more likely to help others. But peer-to-peer recognition and social programs to encourage praise are only parts of a larger recognition program. Putting together a complete recognition program can be a lot to take on, so we’ve put together this helpful list of things you should keep in mind when taking this on. The most important thing to keep in mind is that employees are desperately seeking your approval, so in order to keep them happy, you need to show them that you notice their hard work. It’s not enough to have an “employee of the month” program or recognize someone at the quarterly meeting. Recognition needs to happen in real-time. As soon as you see someone going above and beyond, show them you noticed it. It’s not enough to simply say the words “thank you”. You need to be specific about what you’re thanking them for. Keep in mind, employees aren’t interested in the thank you, it’s that you noticed them doing something good. It’s important to be specific, and say something like “thank you for helping Stacey with the project, I know she really appreciated it and I appreciate it too”. Living your core values is so important for the success of your company and making sure everyone is working towards the same mission. The more you can tie your recognition with the values of your company, the better. You’ll be hitting two birds with one stone, you recognize employees and reinforce the values. You should encourage everyone to participate to make the program more effective, but don’t make participation mandatory – that can easily backfire on you. You should be a role model and participate a lot yourself. Especially if you end up using a software to give kudos, you should help get it started and seed some of those initial conversations. Collect feedback from employees to see if any initiatives you might have implemented are working. You can use satisfaction surveys to see if they notice any improvements since any changes were implemented. Using some sort of social technology to make the praise public and traceable is a great way to ensure success of a program. It doesn’t have to be complex, but technology will make things easier and more enjoyable for everyone involved. Most internal projects fail because of a lack of communication. After any initial marketing you put in to announce a program, don’t forget to communicate with employees regularly. Remind employees why they’re participating, how recognition helps build the culture, etc. If you’re looking for some great ideas to recognize your employees, here are some tried and tested things that we’ve seen work really well. One cool idea you could try is setting up an “employee of the week” or some similar program to recognize employees and them post a picture of them on your company’s social media account. There’s something really powerful about being tagged on social media from a company that has tens of thousands of followers. This is one of my favorite ways to implement peer recognition in an organization. Find some physical object to symbolize a superhero (we use a red cape) and let a “hero” wear the cape for the entire day on a day when they do something amazing. When someone else does something great, have the employee that currently has the cape give it away. Take a few minutes before the next big company meeting to highlight someone special. Give them a big round of applause. Remember to be specific about what you’re praising them for. One thing about gratitude that most people might not know, is one of the easiest ways to spread it is by telling someone why you’re grateful for them. On Monday morning, get in a circle with your team, and have each person say one thing that they’re grateful for about the person next to them. For example: “Sam is always there to answer my questions and answers so quickly, I’m very grateful for that. A nice way to say thank you and show employees you appreciate their hard work is to take them out for lunch at the local restaurant. Make sure to toast while you’re there that you appreciate how hard everyone has been working. If an employee really goes above and beyond, you can offer them an extra day off or the chance to work from one for one or two days, just something to show them that they deserve a pat on the back. A great reward is a gift card to a local restaurant or coffee shop. Even better is if the gift card matches the employee’s personality. For example, if you know an employee loves playing golf, a gift card to a golf store is an amazing idea. Pro tip: you could ask employees what they want to avoid any disappointment. In theory, praising employees seems simple. Be specific, be timely, and do it frequently. But there are a few subtleties that can change everything. Our unconscious biases and the words we choose to use when giving praise can make the difference between helping an employee grow and having the praise go unheard. In 1964, a researcher named Robert Rosenthal did an experiment at an elementary school to see what would happen if teachers were told that certain kids in their class were destined to succeed. Rosenthal took a regular IQ test and put a fake cover page on it that read “Harvard Test of Inflected Acquisition”. The teachers were told that this test had the ability to predict which kids would soon experience a dramatic growth in their IQ. He chose students completely at random and told the teachers that these kids were about to experience a growth in IQ. He found that expectations affect teachers’ daily interactions with the children. Teachers give the students that they expected to succeed more time to answer questions and more specific feedback. This is an important lesson for every leader. When we unconsciously expect someone to succeed, we show them more attention and spend more time helping them grow. Stanford psychologist Carol Dweck has done some incredible work on how our mindsets affect our success. She’s famous for her work on the “”fixed mindset” vs the “growth mindset and her book Mindset: The New Psychology of Success. In one of her studies, she looked at how people with the two different mindsets reacted to praise. The study was done with hundreds of students that received ten problems to solve, then praised the student for their performance. But they offered two types of praise. The key difference is that some students were praised for their ability, while others were praised for their efforts. Students that were praised for their effort were more likely to want to take another challenge and continue growing. As a leader, your praise will be much better receive if you focus on the specific effort they just did and not their general abilities. Employee recognition takes a lot of work and requires you to be mindful of what employees are working on. Recognizing an employee is a sign of respect, and is a very important part of keeping your team engaged. By building recognition into your culture, you’ll have a friendlier, happier, and more productive environment that will attract and retain the best talent.